Kinshasa (AFP) – DR Congo President Joseph Kabila has promised to have “constructive dialogue” with mining companies worried over plans to hike taxes on so-called strategic metals, a category expected to include the booming market for cobalt and copper. Kabila on Tuesday held more than seven hours of talks with leading players in the Democratic Republic of Congo’s mining sector over plans to change the country’s 2002 mining code. “The president reassures mining operators that they are economic partners in the DRC and that their concerns will be taken into account through a constructive dialgoue with the government after the new mining law is approved, with a view to finding compromise,” Kabila’s office said in a statement released late Wednesday. In Tuesday’s meeting, Kabila and the mining firms agreed to deal with problems on a “case-by-case” basis, officials said. The mining executives arrived “worried” but “left calm,” he said. The government last year signalled its intention to reform its 2002 mining code, which it considered to favour foreign investors at the expense of the economy. A first version of the draft law — examined by the lower house, the National Assembly, in December, and then by the Senate in January — envisaged a tax takes on “strategic metals” of five percent. This has been revised upward to 10 percent, under a new draft approved by a joint commission of the Senate and National Assembly on January 27. At present, the state levies a tax of two percent on non-ferrous metals — copper and cobalt — which is based on the value of sales, from which some costs are deducted. 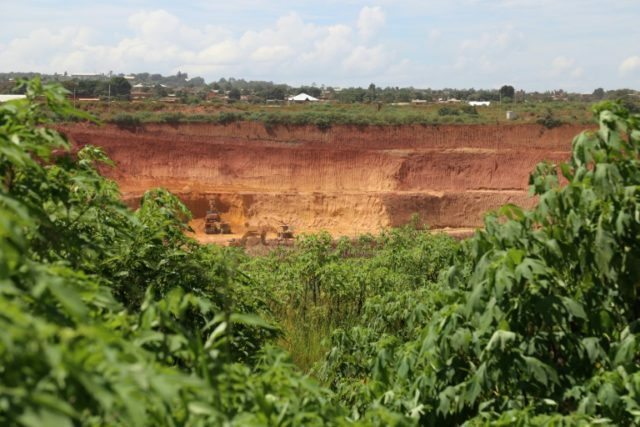 The draft law, which is now in Kabila’s hands, would also scrap a clause in the 2002 code that gives a 10-year guarantee of no change to the terms of mining contracts. There would also be a tax of 50 percent on windfall profits — so-called super-profits that occur when prices go at least 25 percent above a given benchmark. Shareholders in big mining corporations with interests in DRC, including Glencore and Rangold, had written to Kabila to express their concern, sources in the sector said ahead of the meeting. The global boom for smartphones and electric cars has pushed up the price of cobalt to more than $80,000 (almost 63,000 euros) a tonne, compared with less than $23,000 a tonne two years ago. DR Congo is also the top African producer of copper, which last year recovered from a slump that hit in 2014. Copper is currently trading at more than $6,800 a tonne, around 50 percent higher than at the trough of the downturn in February 2017. According to the specialist firm Darton Commodities, the DRC exports around $10 billion in cobalt and copper each year.